HOMEMADE COOKIES & ICE CREAM offer below! 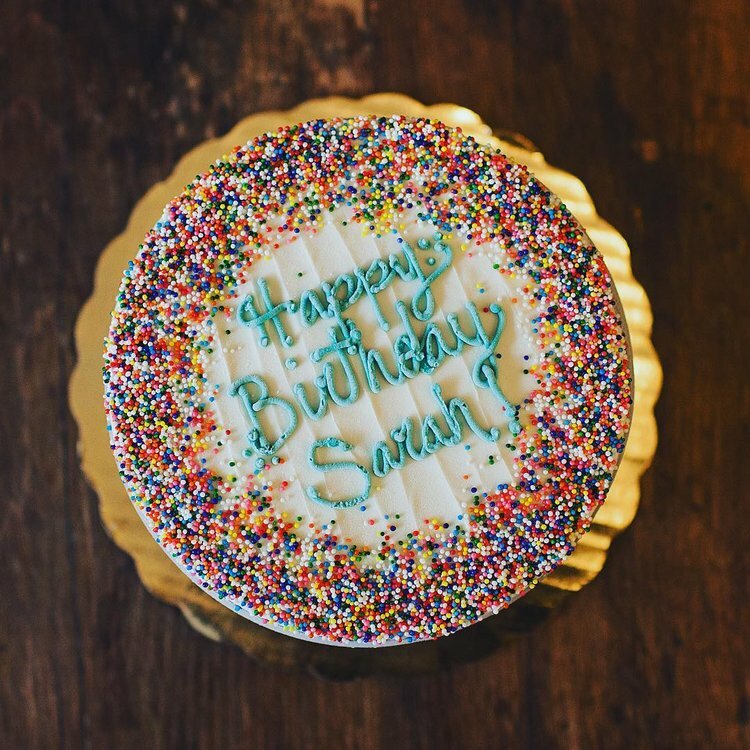 Our ice cream cakes are custom made with your favorite flavors. A large cake (9") serves between 16-20 people. ALL CAKES ARE HANDMADE TO ORDER. PLEASE PLACE YOUR ORDER AT LEAST 3 BUSINESS DAYS BEFORE YOU WOULD LIKE TO PICK UP THE CAKE. If you have any questions or did not receive an order confirmation within 24 hours, please contact us wholesale@daveysicecream.com. Flavors are limited to the following listed below. If you would like to request custom cake writing, please provide the writing exactly as you would like it to be appear. Your cake request was submitted! If you do not receive an order confirmation within 24 hours, please contact us at wholesale@daveysicecream.com. Each order includes 40 homemade ice cream sandwiches. Choose your favorite ice cream flavor & topping. Each sandwich is 2.5” - a perfect bite! Orders must be placed 2 weeks prior to pickup. Minimum 2 weeks notice is required!